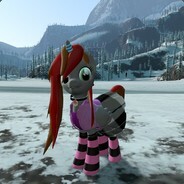 I am the Dark RP manager and a admin on Celestia's Pony Sandbox, part of the United Pony Republic (UPR) server line up. Any questions about the servers or about UPR feel free to ask. I suppose it has come to having to include this in my profile. Yes, I like enjoy MLP. No, I am not gay. If you are I support you. I did what I could to correct the mistakes that were made in the past, but I can only do so much. For all, I am sorry. For what ever it's worth now.